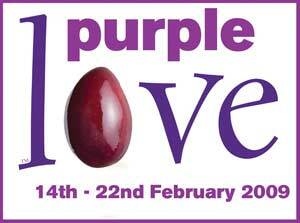 14-22 february is purple love week and is a campaign to encourage us all to remember that our local independent shops need our support. this is especially true in these cash-strapped times when many of us are battening down the financial hatches and focusing on how to save our pennies. the campaign asks a very simple thing from us – spend £5 in a local food shop in the coming week. there are two shops in my neighbourhood that i’ll be sharing the love with – how about you?